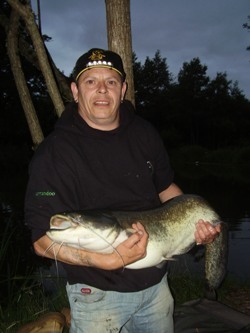 Tony was using various CatMaster Tackle items bait was 1/2 tin of luncheon meat. 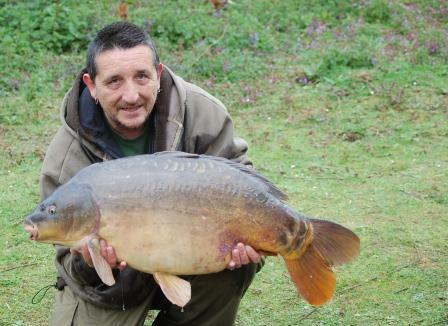 Kingfisher Lake part of the Abbey Lakes complex. 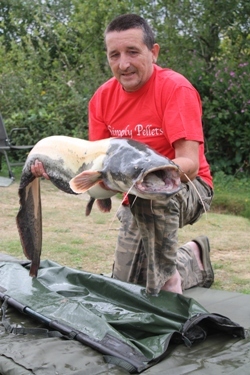 Cauught on CatMaster SS rig, popped up worms and glugged in Discharge Monster Crab over a bed of pellet. 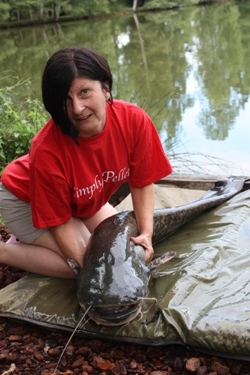 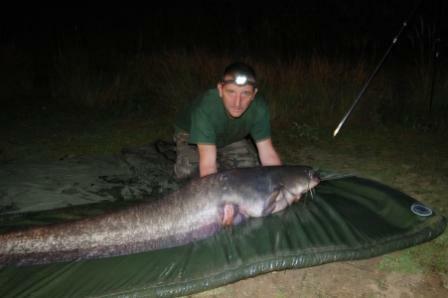 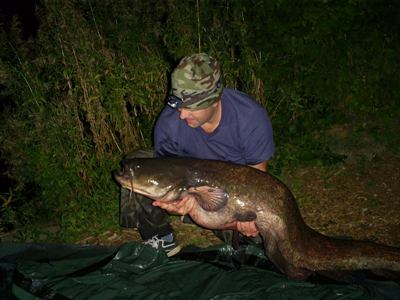 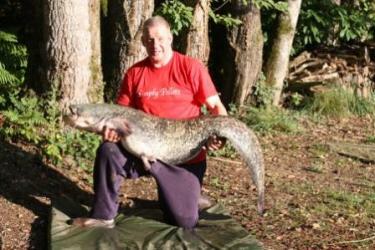 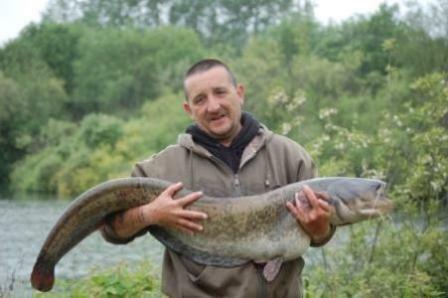 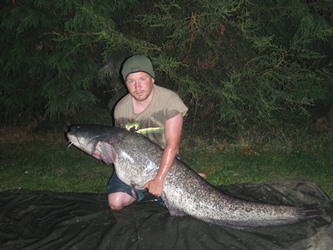 Lee Baigent with the first catfish of 2011 from Jones Pit caught on CatMaster Tackle Mackerel boilies. 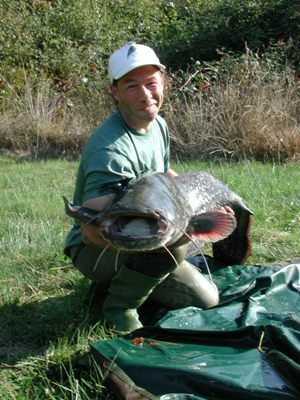 This Catfish is commonly called the "Albino" but in fact is not a true albino. 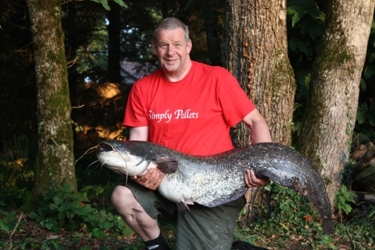 Most catfish anglers know it as "The White One" which resides in Jones Pit. 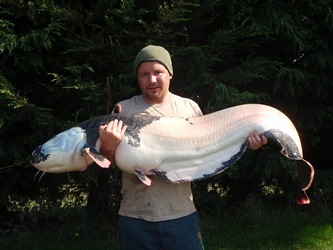 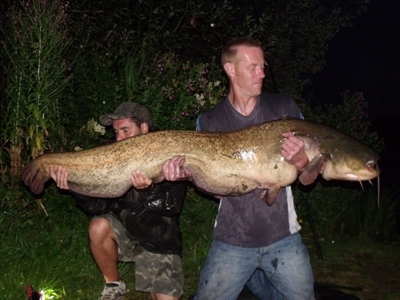 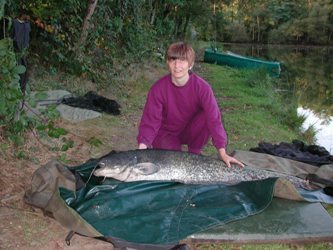 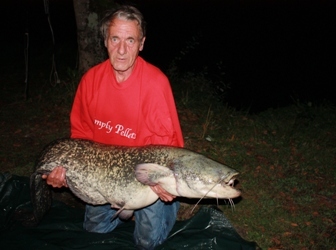 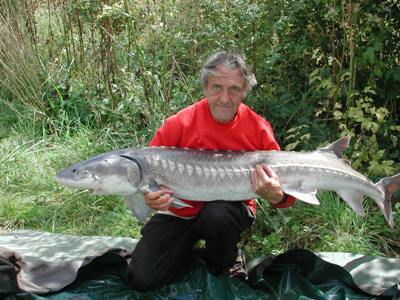 This catfish is known to be at least 50 years old & has been and is the target fish of many an angler, to see such a historic fish is to many an honour let alone catch it, to be associated with such a long list of angling legends who have caught this piece of history. 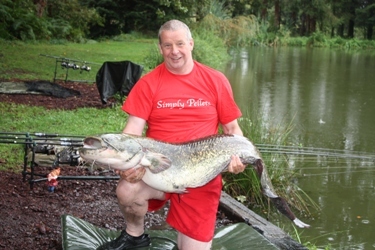 Caught using "Simply Pellets" Mackerel Boilies. 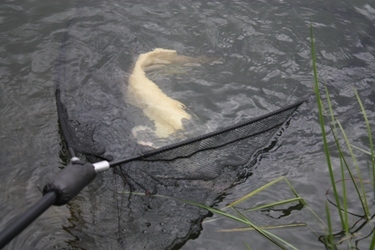 Caught using "Simply Pellets" Mackerel Boilies from Pats Pool, Whiteacres. 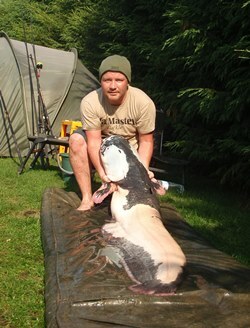 This 35lb 8oz Jones Pit carp was taken on "Simply Pellets" New Mackerel boilies by Head Bailiff Paul Redding. 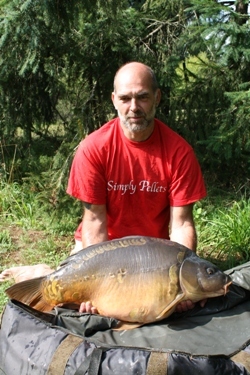 Paul Redding Jones Pit Carp. 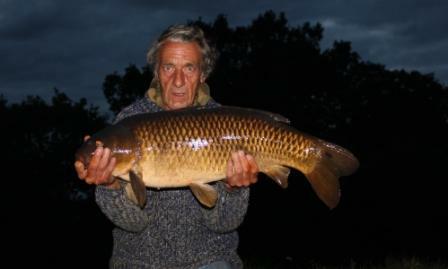 Previously caught by "Mouse" 10 hours earlier"
Bait Used Red 20mm Marine Hailbut Pellet. 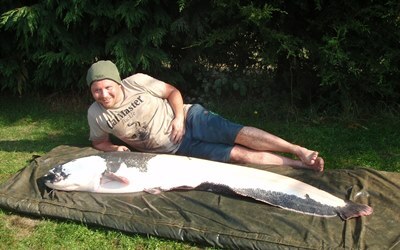 Mouse with a 56lb 8oz Stergeon caught from an undissclosed water. 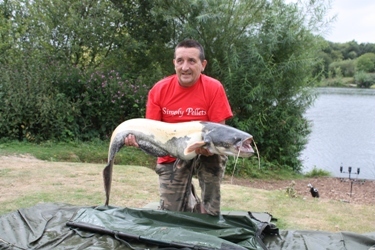 When you have caught either a Carp or a Catfish on Catfish Tackle's or Simply Pellets products then please submit for addition to our gallery.